She was knocked off her style IT girl perch a few years ago, but looks like someone is ready to flap their fashion wings again. 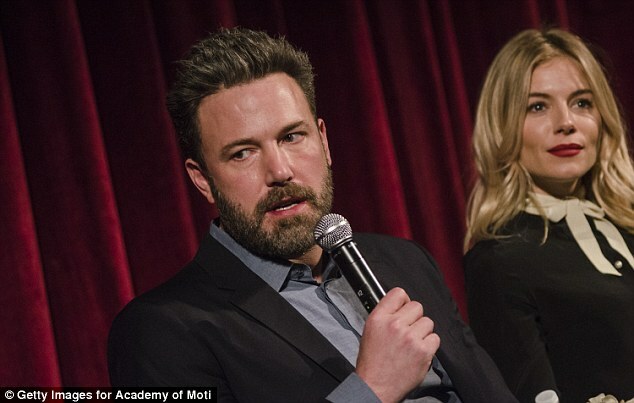 Sienna Miller stole the show as she walked in to join her co-stars Ben Affleck and Elle Fanning for a Q & A during a screening of film Live By Night. The 34-year-old strutted into The Academy of Motion Picture Arts and Sciences screening at New York's Museum Of Modern Art in a sleek but fashion forward suit on Monday. 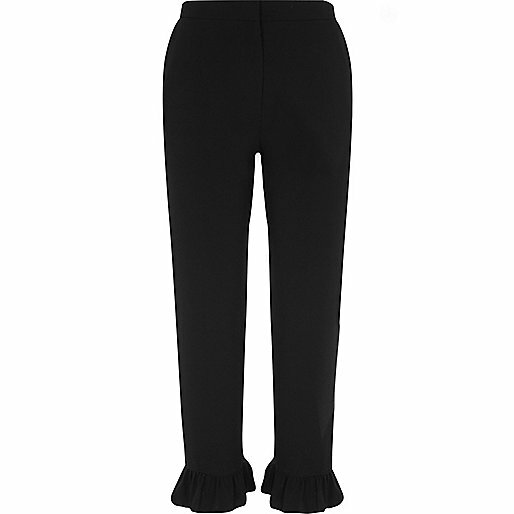 For the star-studded screening, the star wore black straight leg trousers with a frilled white edge circling both her ankles. 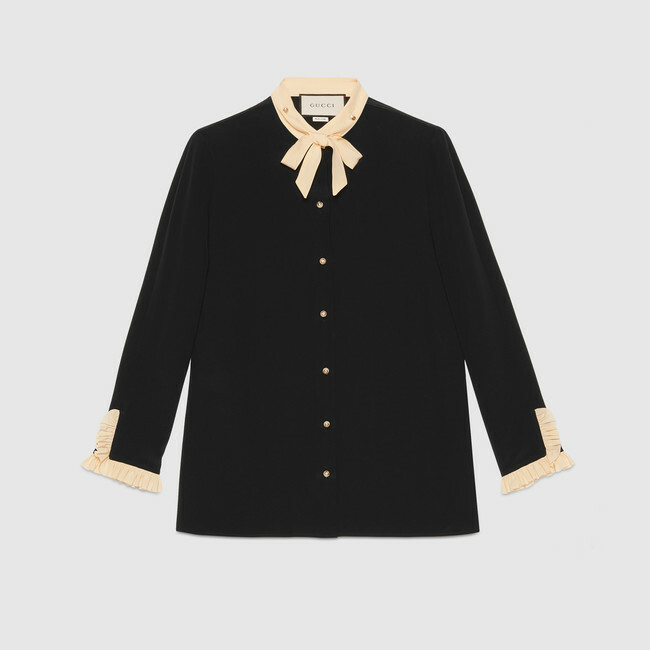 Sienna wore a matching black silk shirt that had frills on the cuffs and a white bow tie collar. Breaking the look's black and white theme, the star added a pair of blue suede platforms. The shoes were not the only pop of colour to the look, the mom of one - Marlowe, 2 - wore bold red lipstick. When it comes to style, Sienna Miller always gets it right. Her wardrobe is full of designer labels like Burberry, Celine, Victoria Beckham and Chanel, but to attend a screening of Live By Night in New York, she opted for a full look by Gucci. Check out the contrast frill details on her matching shirt and trousers, both of which are available to buy now if your budget will stretch that far (click right to start shopping). Gucci is really on top form at the moment, so why not invest in an instantly recognisable piece that will win you kudos from those in the know? 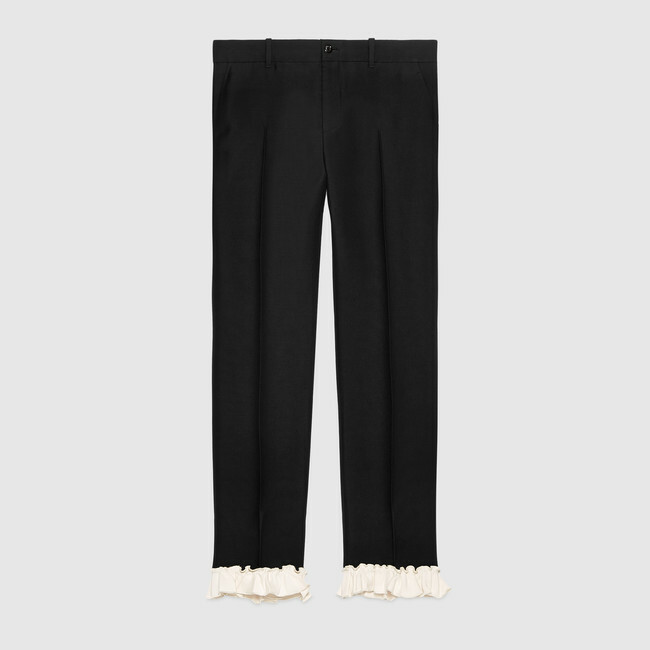 We're totally in love with these tailored trousers. 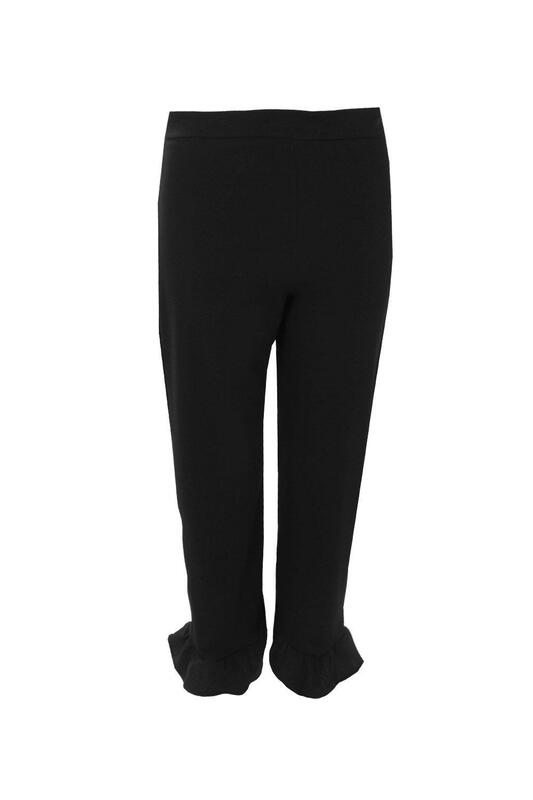 If you find yourself wearing the same cigarette pants every day for the office, then this is the perfect way to mix things up a bit! Try keeping yours simple with a white T-shirt and court heels to nail day to night style. Alternatively, the high street is hot on the heels of Gucci, so Zara, River Island, Missguided and Boohoo have all got affordable lookalikes! The lip shade really helped elevate the look further, as did her glamorous hairstyle which was sleek but had small soft waves at the end. Elle also pushed the fashion envelope but did not as much style success. The 18-year-old - who is a style muse to many - wore black trousers with a skirt-like piece of material over them and a blue checked shirt. She added a very unusual jacket with puffy sections midway down her arms. The teen finished off the ensemble with a pair of heeled black boots and wore just a hint of makeup. 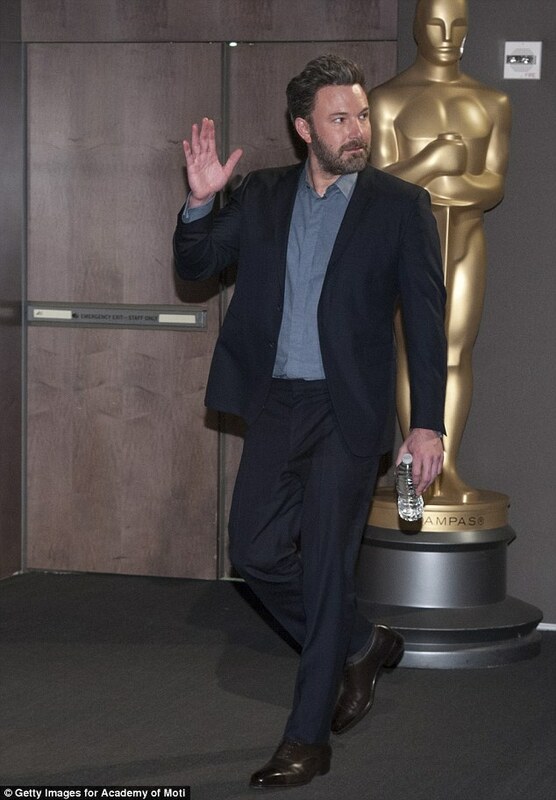 No one could accuse Ben of trying anything new fashion-wise as the star wore a classic suit with a light grey shirt for the screening and Q & A.
Ben serves as the star and the director of Live By Night which is set in Prohibition America. 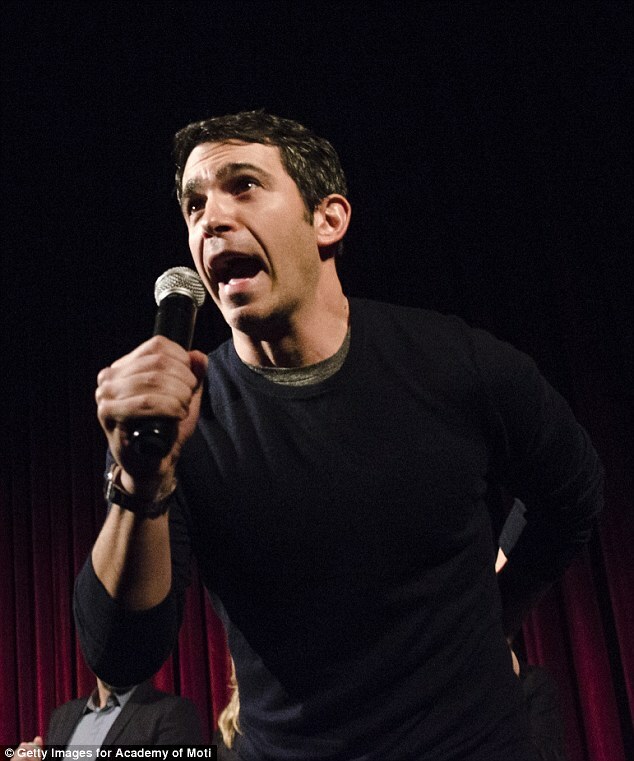 Ben plays Joe Coughlin who goes from police officer's son to bootlegger to gangster after moving from Boston to Tampa. 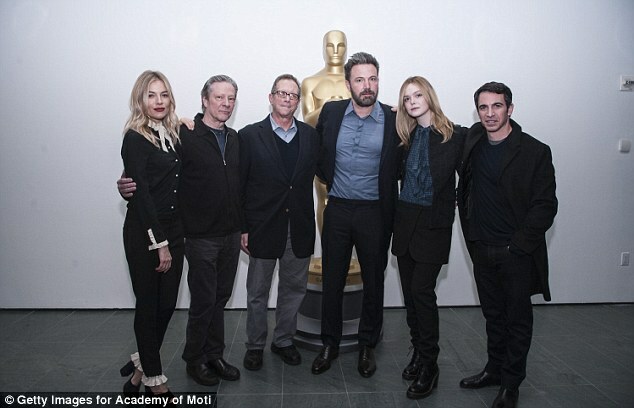 Some of the other stars of the film, Chris Cooper and Chris Messina, were there for the screen while actress Zoe Saldana, who plays Ben's on-screen love, sat the screening out. 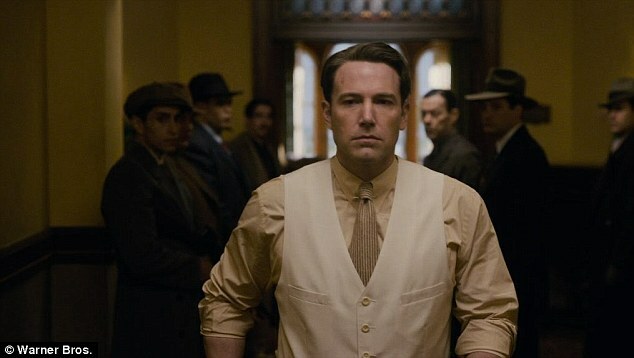 Live By Night will be in theatres Christmas Day, a year later than it was initially expected to be released.